It is only in the next decade, we may no longer witness lions in Africa. Yes, it’s a story for just a decade to go, and the lion population could die out. Something needs to be done to save the estimated 30,000 animals. A South African newspaper has reported this alarming consequence quoting experts responsible for the latest research on the issue. 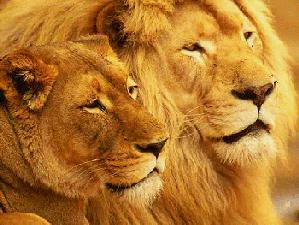 It is from an estimated 200,000 in the 1980s, the continent’s lion population has dwindled. Conflict with humans and livestock, a loss of habitat due to development and a virus similar to the feline immunodeficiency virus can be rightly blamed for the consequence, the Sunday Times newspaper reported. There has been a sharp drop in the number of lions in Angola, Zimbabwe, Zambia and Botswana, as the study released at the Eastern and Southern African Lion Strategy Conference here this week pointed.